During the 84th Legislative Session in 2015, House Bill 1295 was passed and signed into law, despite concerns expressed by local government officials and procurement professionals. The bill added Section 2252.908 to the Government Code. A governmental entity may not enter into a contract that requires a vote by the governing body of the entity before the contract may be signed or that has a value of at least $1 million with a business entity unless the business entity submits a disclosure of interested parties to the governmental entity at the time the entity submits the signed contract to the governmental entity. The disclosure must be submitted on a form prescribed by the Texas Ethics Commission. The form must include a list of each interested party for the contract of which the contracting entity is aware and the signature of the authorized agent of the contracting business entity, acknowledging that the disclosure is made under oath and under penalty of perjury. Not later than the 30th day after the governmental entity receives a disclosure of interested parties, the entity shall submit a copy of the disclosure to the Texas Ethics Commission. The Texas Ethics Commission was required to adopt rules to implement the law, determine the form, and post a copy of the form on the commission’s website. Because most contracts that counties sign require Commissioners Court approval prior to execution, this law applies to most contracts entered into by the county. The Texas Ethics Commission implemented rules and designed an online form to be used for compliance with this statute. “Interested parties” is defined as a person who has a controlling interest in a business entity with whom the county contracts, or who actively participates in facilitating the contract or negotiating the terms of the contract. This includes a broker, intermediary, adviser or attorney for the business entity who receives compensation from the business entity, communicates directly with the governmental entity on behalf of the business regarding the contract, and is not an employee of the business. 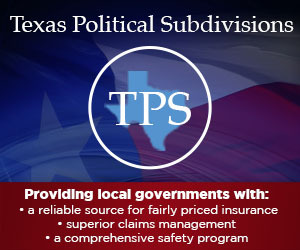 In order to comply with this law, counties started including instructions for their vendors in bid and RFP specifications that require the vendors to go to the Texas Ethics Commission website to complete Form 1295 electronically and print, sign, notarize, and submit the form with their submittals, even if no interested parties exist. 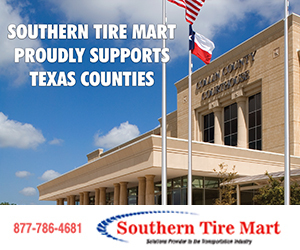 The governmental entity must acknowledge receipt of the filed Form 1295 by notifying the Texas Ethics Commission of the receipt. The Texas Ethics Commission posts the completed Form 1295 on its website within seven business days after receiving notification from the county. Contracts with a publicly traded business entity and electric and gas utilities are exempted.